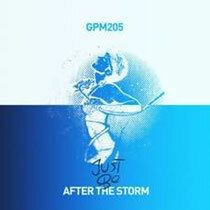 Just Be – the new solo project of Matthew Bushwacka - steps into the fold for Get Physical Music with ‘After The Storm’. Due for release on 21st January, the new single also features a deeper mix, and additionally a B-side also called ‘Out Of The System'. The release is also accompanied by a video that focuses on contemporary dance and explores themes such as disability discrimination, personal triumph and acceptance. To accompany the release Frogspawn Creative have produced a video for ‘After The Storm’. Following the story of a deaf dancer who is mocked by her peers at an audition, the performer then wows them with a stunning contemporary ballet routine. The dancer is still able to enjoy music via physical vibrations, and this phenomenon is based on the director’s personal experiences of a deaf University friend who used to enjoy clubbing on a regular basis. Former West-End choreographer Penelope Schmidt-Uili and deaf advisor and performer Jacob Casselden were consulted on the video to make ensure that dancer Emily Spriggs created a realistic and truthful performance. Check it HERE. 'After The Storm' is out January 21. You should be a part of a contest for one of the greatest websites online. I will highly recommend this blog! This piece of writing is in fact a nice one it assists new the web people, who are wishing in favor of blogging.